I think we are going a bit OT here, but let me clarify the logic behind my thinking. I feel that Freestyle is not in the same league as i20 Active, W-RV etc. 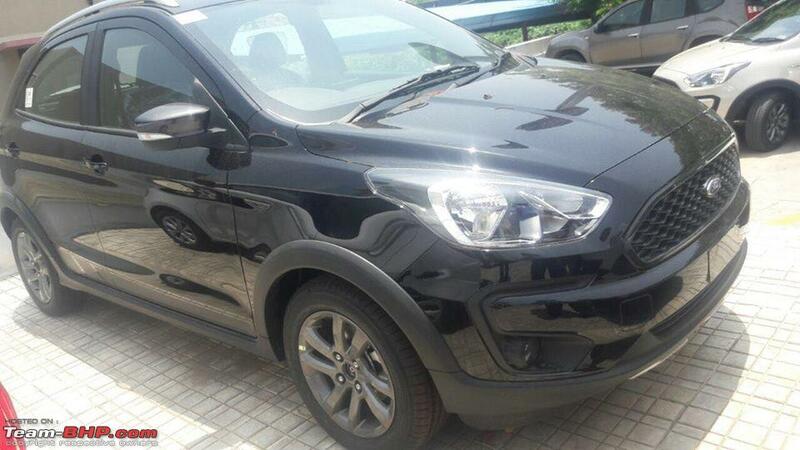 Hence, the logical competition to Freestyle would be Ignis, which are both raised hatchbacks with plastic claddings. The Ignis may be 5-10% smaller in dimensions, but it comes with superior petrol engine, AMT option and Maruti's reliability, reasale value and service network. Since Ford has taken the effort to design a new family of petrol engines, they should have kept the introductory pricing lower than the nearest competitor, so that the customers are tempted to try something new. Otherwise, except for the enthusiasts, I don't see any reason why a customer would choose this over the sea of 1.2L hatchbacks available from Maruti, Hyundai or Honda. It is certainly good to see Ford finally deliver something that is close to their Ikon/Fiesta days DNA. However, knowing Ford marketing, the Freestyle will just be another low to medium selling car(comparing to the Swifts and the Gi10s of teh world). 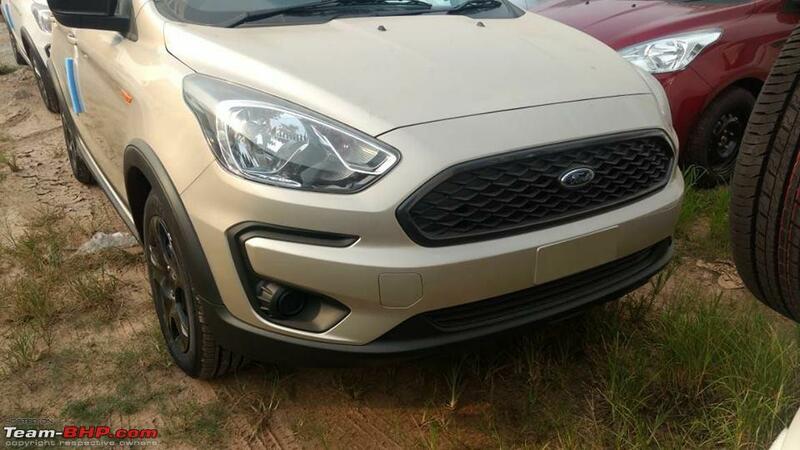 What is however good is that Ford has rectified all the shortcomings of the Figo,plonked in a much better driving dynamics and engine and not made a Figo on Stilts car, and fool the public!! As usual, a fantastic review. Just a small note, It is a decade since the Suzuki K12M 1.2 came along. Are we saying that, even after a decade of it's introduction, it is still the best 1.2 mill, in the business? Suzuki must be wondering, how many more years, will it's rivals take, to match, if not out-perform, it's decade old creation! Good Comprehensive review, but I see the petrol version only. Was the diesel engine not reviewed? Or would we see that at a later time? 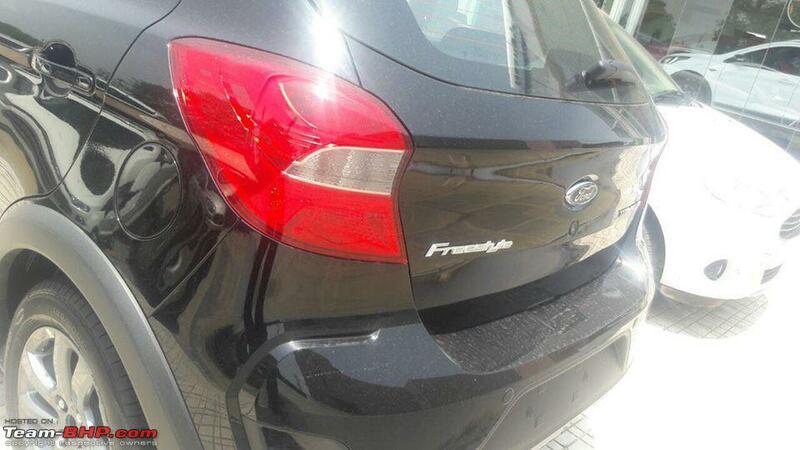 While as a package the freestyle series looks really good, i feel Ford could have made it bit more funky. I feel the design is still very safe and mundane. So is the color choices on offer(they look rather utilitarian). 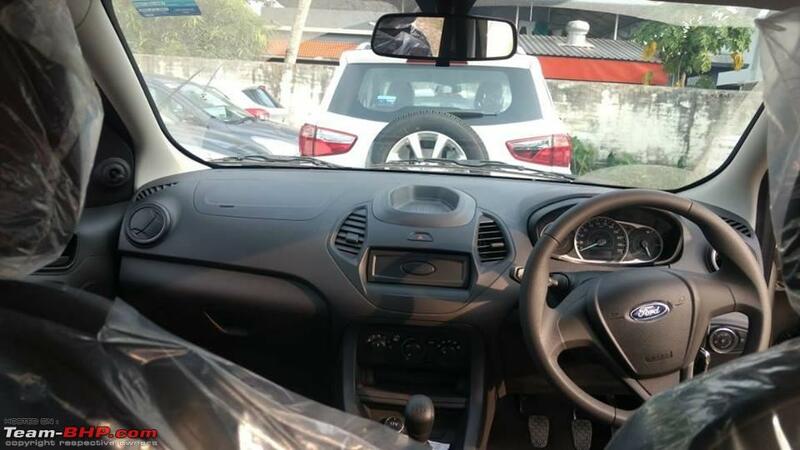 Figo's interior needs upgrade. Atleast the knobs, switches, speedo console etc. Changing the color doesn't do the job. Freestyle is technically sound and well priced. But not necessarily eye catching. 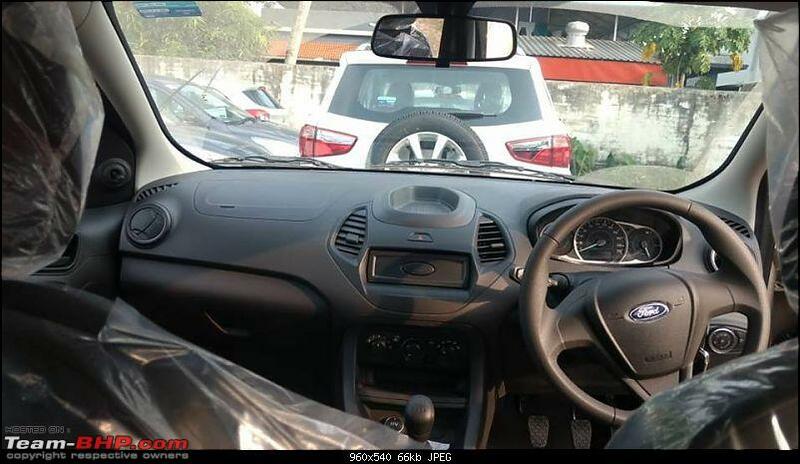 I would like ford to have the 1.5 petrol option as well for freestyle (both manual /auto). It can put this car straight in the league of abarth in terms of performance. 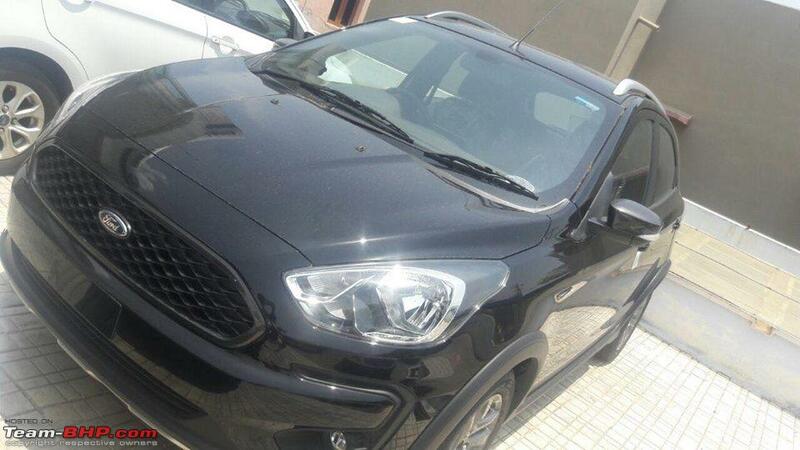 Ford can also plunk the 1.2 petrol engine in ecosport as well to price it even more attractively. Why is the celerio X part of the comparison chart in the review ? Isn't it from a different segment altogether ? Freestyle competes with Etios cross , Fiat Urban cross, i20 active and Cross Polo. 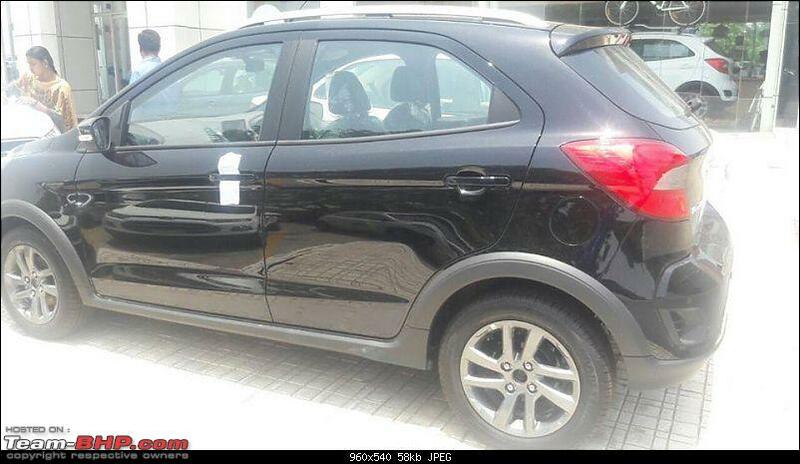 Ignis can compete with other raised hatchbacks with cladding like Kwid and Celerio X. Also AMT is a dated technology. It's good that Ford decided not to bring AMT to India.Recently I drove Ignis diesel AMT for a few kilometers and it felt TERRIBLE compared to my GT TSI. 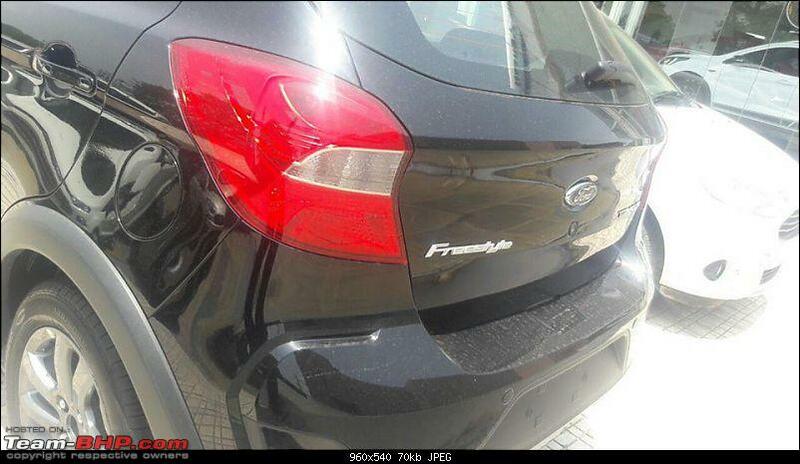 New generation Ford cars are very reliable and have low cost of ownership. It wouldn't be fair to assume that only Maruti cars are reliable and economical to own and hence other cars should be priced lesser than an inferior Maruti product. I have a Figo in my garage with more than 1 lakh km on the odo. ACI reports that Ford is not considering AMT as its jerky performance would ruin the fun-to-drive nature of their cars. Also, the Torque converter of EcoSport isn't likely to be rolled out this year in the 1.2L engine. Speaking to Autocar India, Ford officials said that, considering the jerky performance AMTs are known for, using them would ruin the fun-to-drive character Ford cars are set-up for. Moreover, given that there are very few AMT suppliers, the process of fine-tuning the units and differentiating the performance from others becomes very difficult. Thus, for now, the carmaker will stick with torque converters. 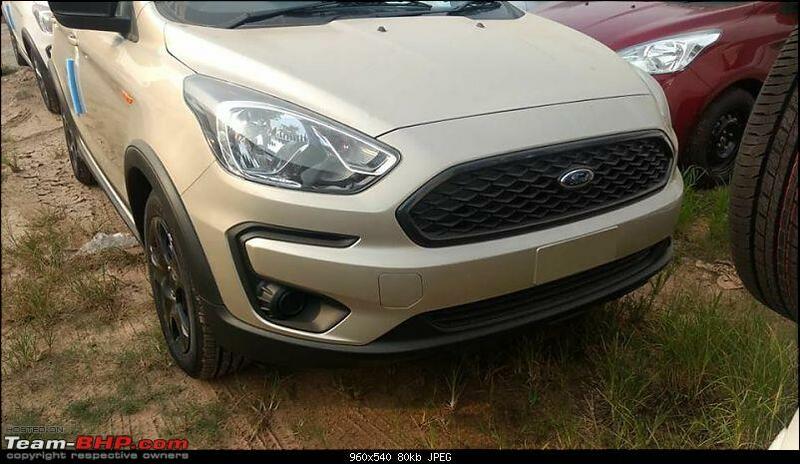 Ford offers a torque converter in the EcoSport, mated to the new 1.5-litre Dragon petrol engine, and is keen on introducing it on the Figo line-up with the 1.2-litre Dragon petrol as well. To do this, though, prices will have to be kept low, and so, Ford is looking at localising the gearbox. However, the market debut of the 1.2-litre engine mated to an auto gearbox isn’t likely this year, as it requires testing and vendor development as well. I got my Ecosport few months after Brezza launch ~ with the deep price-cuts & sweet corporate discounts, it was an absolute steal. 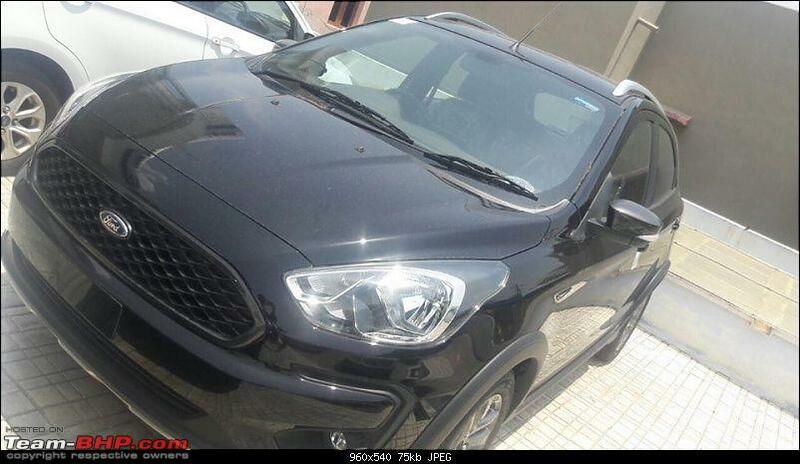 The last I looked at Ecosport prices, I certainly wouldn't be able to pick it now! 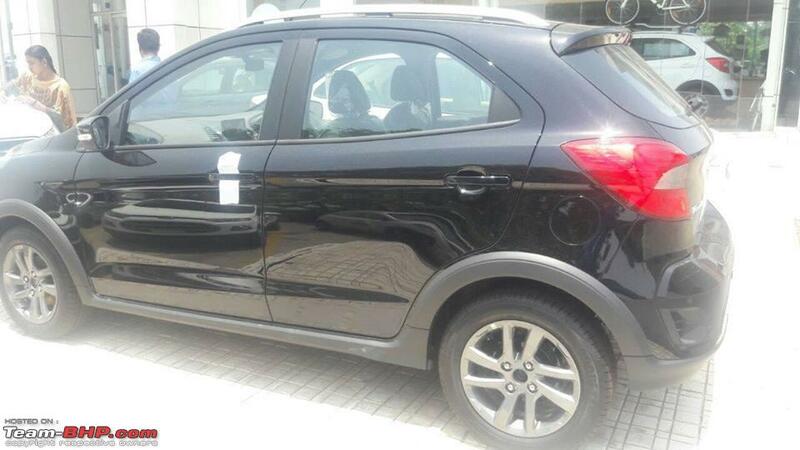 If we could remove the sticker and re-badge it as a Maruti, we'd have people queued up for it. For all the inconsistent sales stories, I'd rather have a superior product with average buying experience; than an average product with superior buying experience. Finally, the Freestyle in Absolute Black. Absolute killer! Thanks to Raj Sundar & Jinson Varghese @ the Freestyle FB group for the pics. The keyword in the 2nd phrase is 'enthusiast'. Buying a car for most Indians still is a lot of money, and a big deal. Buying a car, which you would use for at least 4-5 years because the sales team was good or because of a higher resale value isn't exactly being practical. An enthusiast, having no trouble reading up on the vehicle therefore can make a more informed decision. Yes, Maruti has some very competent vehicles in its portfolio. But there are a whole hosts of cars that are better than Maruti's vehicles. Also even for a non-enthusiast, 6 airbags for that moment when everything hangs in balance (everything=life) would be a better deal than a lakh of rupees in resale value. I think a poll between the different offerings in the B2 hatch segment is needed soon. Guys need some urgent advice..
Got a call from my Ford SA today that the stock has been despatched from the factory but there is only 1 Smoke Grey Titanium Plus in the lot. He asked me how soon can I make the payment since there is another customer for the Smoke Grey Titanium Plus. He hinted that whoever makes the payment first will get the car. I politely told him that making payment for a car before even seeing it is very difficult for me, so he's said he'll ask his boss and get back to me. Now I'm slightly flexible with colour, if they have a Black or Silver also I'll take it but I'm just not ready to handover money for product I haven't even seen. What would your advice be here? Note: If he pushes me too far I'll walk and maybe blame Ford for appointing such idiots as dealers because the other dealer is none better. But I love the car hence the dilemma. Edit: Got a call from the SA. He said we can maybe make a down payment of say 1L or so and make the rest of the payment before delivery. I think that is an acceptable compromise. But all advice is welcome. I don't think its advisable to make payment before seeing the car in person. Even if the dealer give this car to the other customer, how much is the waiting period to get another Ford in the same color? If you really need the car to be delivered soon, then talk to SA to agree on gauranteed payment after seeing the car, or go for other colors. Or else wait for the next batch. I think its better not to rush. Last edited by Flyer : 23rd May 2018 at 10:50. 1. Can a tire upgrade to 195 size be done right from the beginning while taking delivery? Will it be a direct fit WITHOUT any adverse effect on the handling dynamics or stability/safety of the car on highway runs? I hope it will increase ride comfort, with slight impact on FE, that is not an issue. Handling and safety is what I want to know about. 2. Is an upgrade to Projector headlights possible WITHOUT affecting warranty? I do need the car kind of urgently since my old car has been sold and will be taken this Saturday. I have another query is making a payment of say a max 1L with a clause that it is refundable if the car is not delivered, would that be a possible solution. I am loathe to make any payment without seeing the product, and I'm ready to take a different colour choice, the SA has agreed to check and let me know if there are any other Titanium Plus variants in different colours.